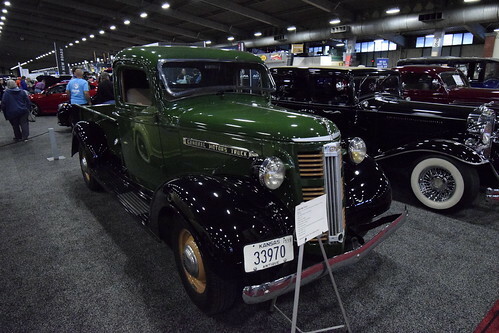 I sneaked off for a little bit today amongst a busy day to check out the Tulsa Auto Show at the Fairgrounds. It has considerably downsized in the twenty some years I have been going. People don’t seem as excited about cars as what they used to be. I don’t blame them. All the sedans look like Toyota and the truck and SUV’s look alike also. The emphasis these days seems to be on technology and other features. My new Subaru is impressive. It has twin cameras installed up by the rear view mirror and they almost drive the car by themself. If I have an excursion they car pulls back into the lane. My car also sends me a monthly email telling me how it is doing. It never asks how I am doing. Maybe the next big thing will be cars with more emotional intelligence. You heard it here first. 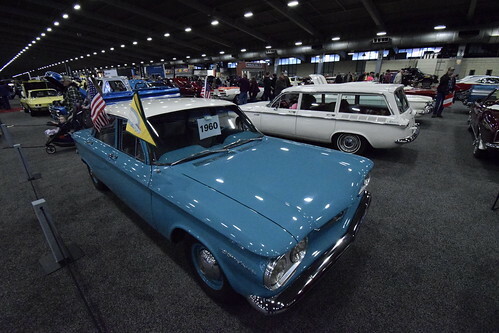 They also have lots of older cars there. I love them. You can actually tell them apart from each other. 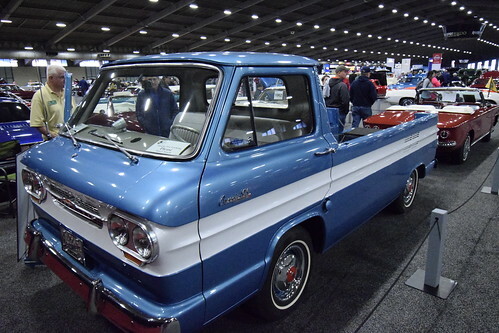 I wonder why don’t see pickups like this any longer? I love the Corvairs. Lots of cool technology in these cars. Not because of gee whiz type features but of operational simplicity. The new pickup trucks are gigantic but I love the look of the older trucks better. Especially if they have cool two toned paint jobs like this. Look at that grill! Anyway, I had a lot of fun. I like car shows. Have you been to one lately? I am linking with Our World Tuesday!! 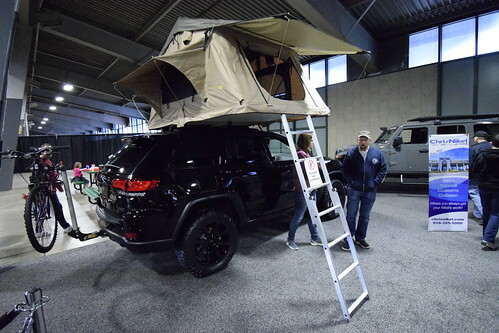 This entry was posted in Uncategorized and tagged Cars, Tulsa Auto Show on April 13, 2019 by Alan Bates. Yes, these days cars are much smarter, but they so have less personality. Remember when you knew who people were because you recognized their car way down the street? Now, as you say, they all look alike. I swear everybody here drives a white suv. . I can’t tell one car from the other these days. Even Cadillacs look like Toyotas. I love looking around old classics, to quote an overused quote, “they don’t make them like that anymore’, sad to say. 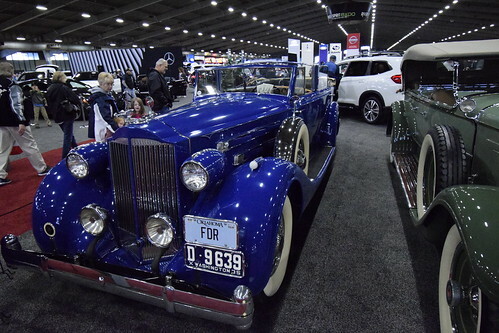 I have not been to a traditional auto show for decades, probably since I lived in Detroit. 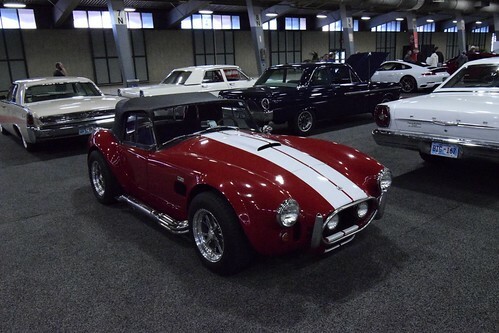 But I do enjoy attending vintage car shows – as you say, much more interesting and talking to the people who own/restore the vehicles is always inspiring. 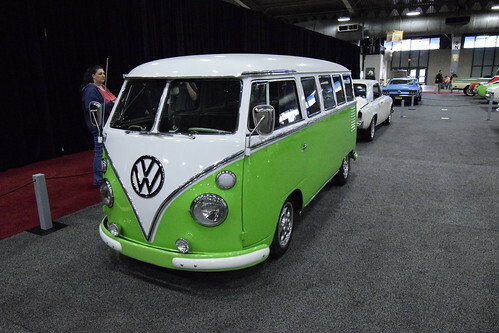 My favorite of this group is the VW bus! I like the bug van!!!! !